On June 28th, 2016 the Billiard Education Foundation lost a member of its family. Brendan Crockett was a large part of our Junior Programs for many years. 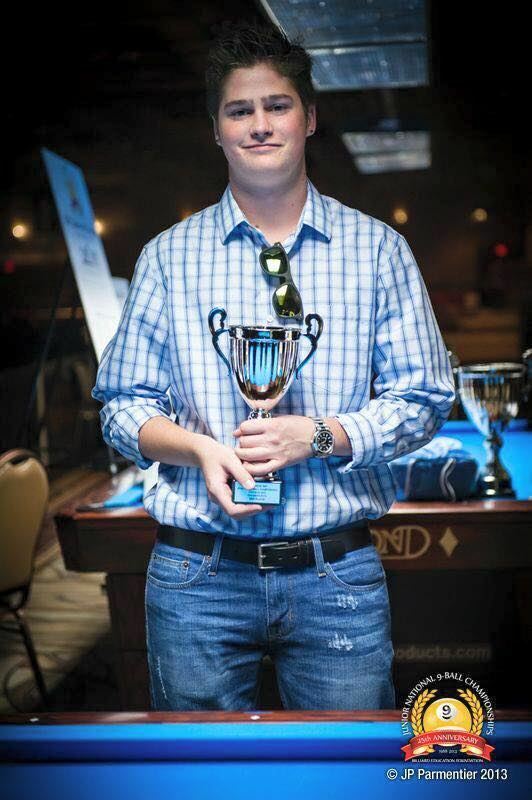 He won the 14 & Under Boys Division his first year competing in the 2009 Junior National 9-Ball Championships, and followed up with top three finishes the following four years. He proudly represented the BEF on the U.S. Team at the WPA World Junior 9-Ball Championships for six consecutive years from 2008 to 2013. Brendan was more than just a talented young player. He grew from an eager teenager to an intelligent, charming gentleman with true character and humility. His humor, willingness to work hard and ability to lead have been an important part of our programs. In an effort to memorialize Brendan and all that he stood for former annual Lindenwood Sportsmanship Award has been renamed the Brendan Crockett Character Award presented by Lindenwood University.